On a related note, I seem to have lost my original artwork (front cover, insert, back cover) for Damaged Tape's 'Stone God,' and 'Ship of Lights,' and Glaze of Cathexis' 'The Holographic Universe,' and 'Tokyo Rainbow Bridge.' If you happen to have those files, I would be engroovied to those who can send them my way. Here's a shining star of sunshine pop. Although the group had already seen a release, they grabbed a hold of the lightning rod of easy listening songsmith Enoch Light by hitching their Crittermobile to his Project 5 label. Thus, we've got the full grooviness of mid 60's 'experimental' stereo production powering the record. Although there is certainly a trace of the 'good time music' of the Lovin' Spoonful informing the proceedings (including a cover of spoonmaster John Sebastian's 'Younger Generation'), the Critters were definitely doing their own thing and making some notable east coast echoes of the sunblasted L.A. scene. This is a prime example of a headphone album. The title track is a wonderful burst of prime twee-pop. A few years later, this would have ended up with hamfisted Three Dog Night/Grass Roots late AM radio production, but this was fortunately recorded at the right time and at the right place. The psychedelic warble of 'Awake in a Dream' is also worth a few listens. When the band gets to it 'Younger Generation' Spoonful cover, we get a tune that doesn't quite replace the original, but does serve as a fine example of the production and arrangement skill at work here. 'Good Morning Sunshine' pops in the bubblegum a few years before that trend really took hold, while 'Sweet Breezes' does a fine job of nailing the floating ballad. "Let's Love" gets in a few proper Brian Wilson-style harmonies to soothe your earhole. There's enough gauze on the more twee and blue-eyed soul tracks that permeate the rest of the album to keep you from skipping around the tracks too much. The cheese of AM pop is present here, but in a wonderfully palatable form. 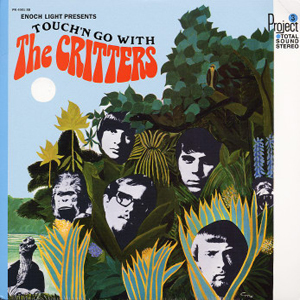 While the slab of vinyl didn't quite have the power to break into the transcendental that the Millennium or the Beach Boys could, the Critters had the dander to make everything groovy, and couldn't have come out of anywhere but 1967. Dig it. Tech Honors, the sound designer behind Dinosaur on Fire, states that this is best heard as the music that runs through runs through a child's head after defeating the boss in a 16-bit video game. I'm certainly down with that assessment, but what I heard when playing this album was alien spacecraft using lasers to carve out a distant diamond planet (as opposed to a Dustin Diamond planet, which is far more horrific). I suppose that fits in with the whole 16-bit video game aesthetic anyway. There's a whole lot of analog and 80's digital synth tones running amok on these songs, with the tone whittled down to a crystal focus. In fact you can approach this as a music earth crystal, pulsating in a back alley new age store run by Rastafarians. OK, sorry... tangent. 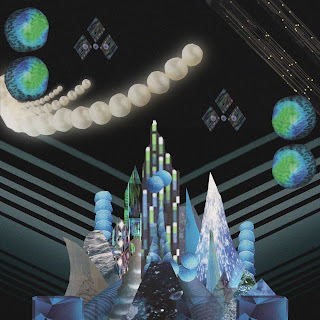 Getting back to the topic at hand, "Crystal Palace" sounds like the place where the interdimensional shamen replace your organs with chakra stones, while "Getaway" serves as the tones to sooth you in the outpatient room of the clinic in the astral plane. I'm not really a new age fellow - I don't really know what I'm talking about with the chakras and shamen and such, but I'll be damned if this music doesn't sonically invoke those sorts of words. Y'know, but in a groovy Super Famicom way instead of a middle-aged, Scandinavian yoga instructor kind of way. This is what happens to Vangelis' music when you hit the light-speed button in the Millennium Falcon. It's extremely well recorded and arranged, so kudos to you Tech Honors! ....if that is your real name. Mine's not Dr. Schluss. When I was a kid, I spent a lot of time spinning my dad's old Beatles and Doors albums as you may well guess. But I remember on slab of vinyl called "Undercurrents," which featured some slightly more off-kilter acts like the Soft Machine, the Blues Project, and the Stone Poneys. 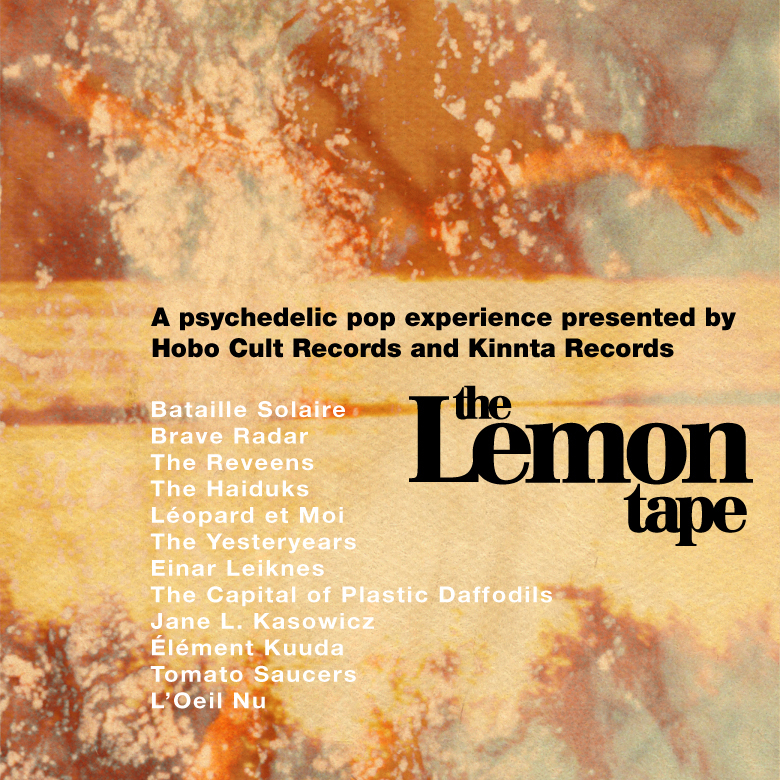 It was one of my first introductions to the musical world behind the veil, and the "Lemon Tape" sort of gives me a recall of that vibe. This is a snapshot of Montreal's psychedelic scene, and what a wonderland it is! A lot of this is what I'd want to hear stumbling into a back-alley, basement club like what we see in the films "The Trip," or "Blow-Up." Pretty much all of the music ranges from lo-fi to mid-fi, and I must admit that it sounded a little ramshackle on my first pass. Still, the thing kept growing on me and the flowers of the sonic lotus continue to unfold each time I play it. You may have noticed that we don't see a whole lot of compilations here at the Garage, but this one plays nicely pretty much straight through. Man, there are a lot of fine tracks here. "Harpe Pierreries Chatoiement" by Bataille Solaire tosses us headfirst into the tribal-pounding echoland of early Pink Floyd. "Twisted Games" from the Reveens throws us a straight up Nugget, while "A Spike" by Brave Radar and "Hvordan" by Einar Leiknes blend in a touch of the 80's underground jangle scene. There's an instrumental cover of the Associations' "Never My Love" that seems to materialize in the psychedelic lounge as does "Cosmique Love" by Tomato Saucers. The only tunes here that don't do it for me is the oddly warbling "Princess" by the Capital of Plastic Daffodils and a vocal bonus cut of "Never My Love" which seems to make the engineering mistake of bouncing the tracks on a tape a few too many time, and including vocalist that can't quite cut mustard. Oh well, it's not anything to rain on your parade. Well, I guess the goal here was to promote the Montreal psyche scene, and I'd have to sat that the "Lemon Tape" accomplishes that mission spectacularly. 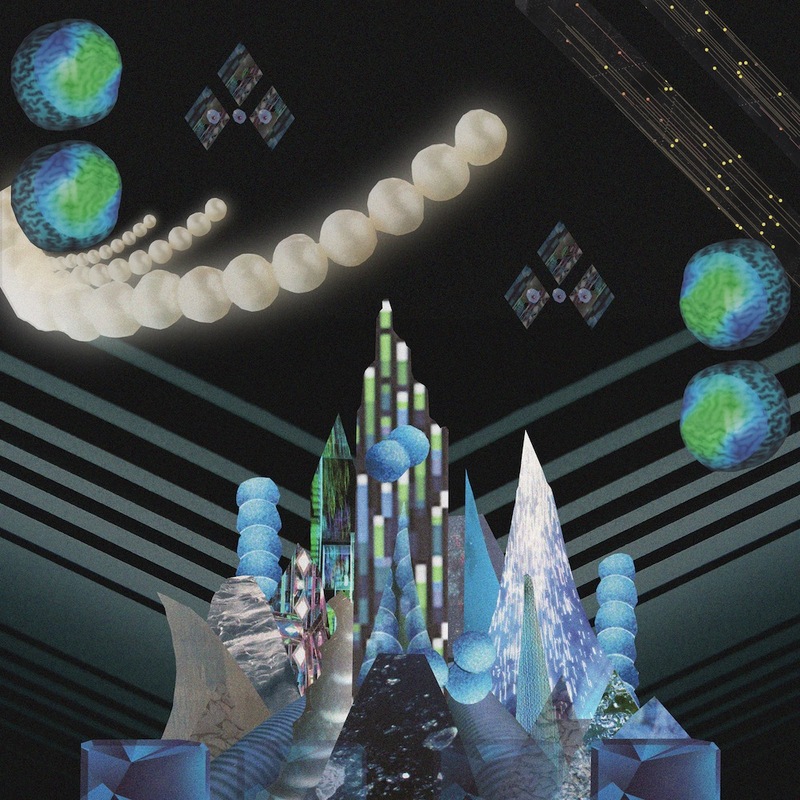 You'll find a few names here to keep your ears open for, as well as have a trippy, twilight time digging the tunes that are present on this compilation. So, you see the cover and get the impression that you're in for a warped, hippy-mystic ride into the galactic sun. But no, that's just the exploitation aspect of this album kicking in. Just disregard the colours on the front and be ready for some ragas of the more traditional sort. This is straight-up Indian classical featuring only people that actually have business playing this stuff. 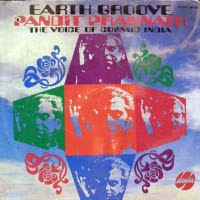 Pandit Pran Nath was supposed to be a master of this kind of vocal raga, and he sounds fine. I'm not so sure that he was so used to recording, however, as he sometimes distractingly clears his throat or spews out a lugie between vocal parts. I would imagine that thise is a field recording, anyway - the proceedings are far from the hi-fi side and you also hear people moving around from time-to-time. I guess it gives everything an interesting, out-in-the-Indian-countryside sort of vibe. I'm far from a scholar on Indian music, but I play a fair amount around here, and I think what we have here is a morning and and evening raga. I have to say that I prefer the first side. It's more of a gliding drone, while the second side is a bit more aggressive - well as aggressive as a droning raga's going to get. With the added output on side two, there is also more of the coughing and flemmy sounds that sort of pour a touch of corrosive acid through the proceedings. I'll admit that I ended up listening to this one pretty much by express fascination with the trippy cover. There is plenty of old school trippy in the music, but don't listen expecting a late 60's experimental infusion. This is pretty much the real deal, served straight-up.